When you have a sore, irritated throat, you feel miserable. And the other symptoms that come with it - like bad breath - can make you uncomfortable and self-conscious. But over-the-counter cold medicines and doctor-prescribed antibiotics can be too harsh and irritate other areas of the body. For gentle relief, get Mercurius Solubilis 30c from Boiron. 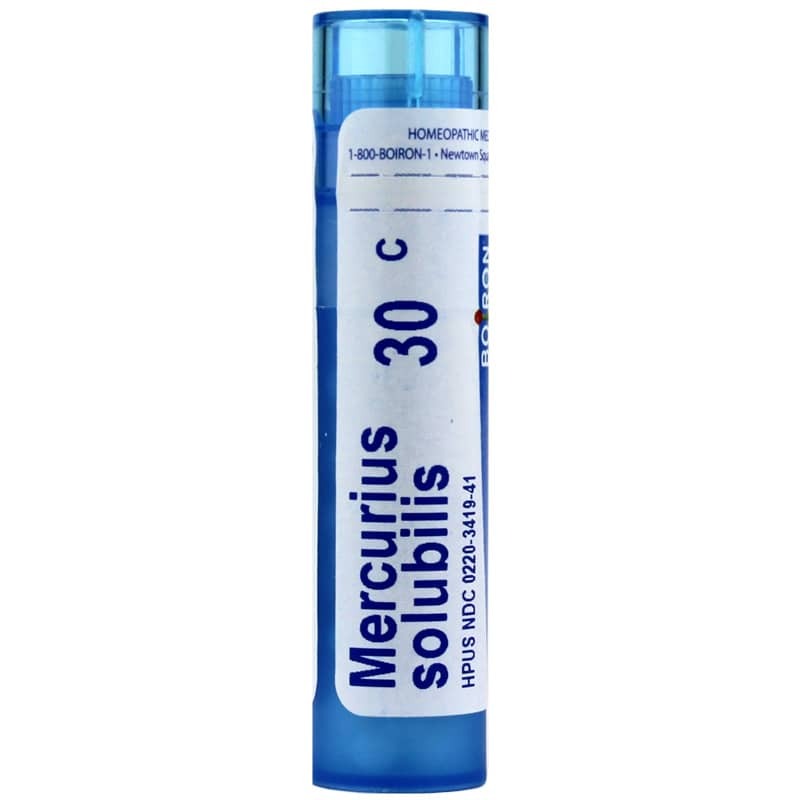 Mercurius Solubilis 30c is a homeopathic supplement that may provide support for a sore throat with offensive breath and excessive salivation. Mercurius solubilis is made by dissolving mercury in nitric acid. The resulting precipitate is then filtered, dried and triturated that removes harmful traces of mercury while creating health-supporting properties that may be particularly beneficial for mouth and throat conditions. Get gentle relief from your sore throat. Order Mercurius Solubilis.